Basketbol ay ang pinakatanyag na isport sa Pilipinas, na nilalaro sa hindi propesyonal o amateur at propesyonal na antas. Mga kabataan sa barangay habang naglalaro ng basketbol. Noong 1950s, ang koponan ng Pilipinas ang isa sa mga pinakamagaling na koponan ng basketbol sa buong mundo pagkatapos manalo ng dalawang sunod na gintong medalya sa Palarong Asyano (1951, 1954). Ang artikulong ito ay nangangailangan ng pagsasalin sa Tagalog. Kung ito ay hindi maisusulat o maisasalin sa Tagalog sa loob ng dalawang linggo, idadagdag na ito sa listahan ng mga artikulong buburahin. Kahit di nakasali ang Pilipinas sa kauna-unahang FIBA World Championship noong 1950, nagawa naman itong makasali sa 1954 edisyon ng torneo na ginanap sa Rio de Janeiro, sa Brazil. Nagtapos ang kampanya ng bansa na may 5-2 win-loss record sa mga laro ng Final Round at nagawang masungkit ang ikatlong pwesto at ang bronze medal. Ang third-place finish na ito ng Pilipinas ay nananatili pa ring best finish ng pandaigdigang kampeonato sa buong Asya at labas ng Americas at sa Europa; Pumuwesto si Carlos Loyzaga bilang pangatlo sa "Tournament leading Scorers" na may 148 points o 16.4 points per game at hinirang din siya bilang isa sa mga miyembro ng "FIBA World Mythical Five Selection" sa nasabi ring taon. Before the end of the decade, the country retained the Asian Games basketball gold medal in 1958. During this period, the Philippines had also consistently played, in the Olympic Games basketball tournament since 1936. In the 1960s, the first FIBA Asia Championship was won by the Philippines with Carlos Badion as the tournament’s Most Valuable Player. In 1962, the Philippines won its fourth consecutive Asian Games gold medal and retained the Asian championship in 1963. Meanwhile, the Philippines won the right to host the third FIBA World Championship but were suspended after then President Diosdado Macapagal, father of former President Gloria Macapagal-Arroyo, refused to issue visa to players from communist countries (notably basketball powerhouse Yugoslavia and the Soviet Union). In the Asian Games, after Carlos Loyzaga’s retirement, the Philippines' dominance declined but the country continued to play competitively in the Asian, and World Championships. While in the Olympic Games, the Philippines played poorly, unable to reach the top 10. The 1970s and 1980s witnessed the birth of two new leagues: the Philippine Basketball Association (PBA), founded in April 1975, and the Philippine Amateur Basketball League (PABL) in 1983; both leagues replaced the 34 year old MICAA. The PBA is composed of 10 company-branded franchised teams. It is the first and oldest professional basketball league in Asia and the second oldest in the world after the NBA. The league's regulations are a hybrid of rules from FIBA and the NBA. The league was founded in Quezon City on April 9, 1975. Its individual team offices are directed out of PBA head offices located in Eastwood City in Quezon City. In 1978, the Philippines hosted the FIBA World Championship and finished 8th in the tournament, despite losing all its games. The event was the first World Basketball Championship ever to be held in Asian soil. Sa dekada 80, Ang Northern Consolidated Cement, isang koponan na kinabibilangan ng mga atleta sa pambansang koponan ng basketbol ng Pilipinas, nasungkit ang gintong medalya sa FIBA Asia Club Championship noong 1984 at nagkaroon ng karapatang lumaban sa World Cup for Champion Clubs na ginanap sa Gerona, Espanya noong 1985. Nakuha ng Pilipinas ang ikapitong pwesto, pero minahal sila ng madla bilang Small but terrible. Nakuha rin nila ang kampeonato sa William Jones Cup. Sa taong 1986, sinungkit ng Pilipinas sa ikalimang pagkakataon ang kampeonato sa FIBA Asia Championship at nagkaroon ng pagkakataong lumaro sa 1986 FIBA World Championship na ginanap sa Madrid, Espanya. Ngunit sila'y hindi lumaban dahil sa political crisis at ang pagdating ng People Power Revolution. Lumipas ang mga buwan ng nasabing taon, nakakuha ang bansa ng tansong medalya sa Asian Games matapos ang kontrobersyal na pagkatalo ng bansa sa semi-finals laban sa South Korea. In 1990’s, the Philippines sent all-professional national teams in the Asian Games basketball tournaments. The PBA was given the task to reclaim basketball supremacy in Asia but was limited by the national association, the Basketball Association of the Philippines (BAP), to play just in the Asian Games. The first Philippines Dream Team was formed in 1990, coached by Robert Jaworski, and the team produced a number of PBA superstars such as Alvin Patrimonio, Avelino “Samboy” Lim, and 1990 PBA Most Valuable Player Allan Caidic. The team finished second, and captured the silver medal after losing to China in the finals. Allan Caidic and Samboy Lim were named in the Asian Games basketball all-star mythical five selection. In 1994, San Miguel Beermen, which captured the PBA All-Filipino Cup title, earned the right to represent the Philippines in the Asian Games. The team also included loaned PBA players, and amateur standouts. The PBA-San Miguel Philippines team finished fourth place after losing to China, and Japan in the play-offs. Allan Caidic, Asia’s most feared Filipino player, finished as the Asian Games’ leading scorer, and was named in the Asian Games All-Star Mythical Five Selection. In 1998, the PBA formed the celebrated Philippine Centennial Team which captured the 21st William Jones Cup championship and the bronze medal in the Asian Games held at Bangkok, Thailand. The centennial celebrations also witnessed the birth of the Metropolitan Basketball Association (MBA), the Philippines second professional league. In 2000, the Philippine Basketball Association (PBA) celebrated its 25th anniversary and named the “PBA's 25th Anniversary All-Time Team”, the top 25 were – Johnny Abarrientos, William "Bogs" Adornado, Ato Agustin, Francis Arnaiz, Lim Eng Beng, Ricardo Brown, Allan Caidic, Hector Calma, Philip Cezar, Atoy Co, Jerry Codiñera, Kenneth Duremdes, Bernard Fabiosa, Danny Florencio, Alberto Guidaben, Freddie Hubalde, Robert Jaworski, Jojo Lastimosa, Samboy Lim, Ronnie Magsanoc, Vergel Meneses, Manny Paner, Benjie Paras, and Alvin Patrimonio. Later, the PBA All-Star Selection beat the FIBA Asia All-Star Selection, which was led by Filipino and MBA superstar Rommel Adducul. 1898-1900s – Unang ipinakilala ng Estados Unidos ang larong basketbol sa Pilipinas sa pamamagitan ng YMCA. 1913 – The first ever Philippine national basketball team was formed to compete for the first Far Eastern Championship Games (the precursor of the Asian Games) held at Manila, Philippines. - The Philippines played, and won its first international basketball game against China. The Philippines also won the first basketball gold medal of the Far Eastern Games. 1915 – The Philippines retained the basketball gold medal in the second Far Eastern Games held at Shanghai, China. 1917 – The Philippines, for the third time, captured the basketball gold medal in the Far Eastern Games held at Tokyo, Japan. 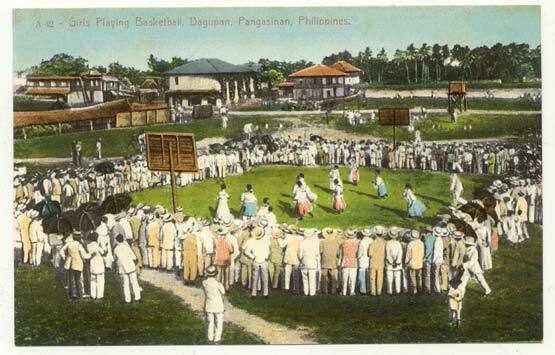 1919 – The Philippines captured the basketball gold medal for the fourth time in the fourth Far Eastern Games held for the second time in Manila, Philippines. 1921 – China defeat the Philippines in the Far Eastern Games basketball tournament. The Philippines finished with a silver medal for the first time, losing 30-27 to China. The Philippines recaptured the Far Eastern Games basketball gold medal in Osaka, Japan. In the Far Eastern Games, Luis “Lou” Salvador scored the Philippines, and the Far Eastern Games all-time record for the most points scored by a player in a single game. He scored 116 points to lead the Philippines beat China, and recapture the gold medal. Filipino basketball player Jovito Gonzales won his sixth consecutive Far Eastern Games basketball medal. Gonzales was a member of the first ever Philippine national team that won the first ever Far Eastern Games basketball title and went on to end his career with five gold medals and a silver in the Far Eastern Games. He holds the all-time record for the most appearances by a Filipino in the Far Eastern Games basketball tournament. 1924 – The University of the Philippines won the first ever Philippine National Collegiate Athletic Association (NCAA) Basketball championship. The NCAA is the oldest collegiate sports tournament in the Philippine history. 1925 – The Philippines retained its basketball title in the seventh edition of the Far Eastern Games held for the third time in Manila, Philippines. 1927 – The Philippines again captured the basketball gold medal of the eighth Far Eastern Games held at Shanghai, China. 1930 – The Philippines beat host Japan and won its eighth basketball gold medal in the Far Eastern Games at Tokyo, Japan. - Filipino veteran Augusto Bautista won his fifth consecutive Far Eastern Games basketball medal. Bautista won four basketball gold medals and a silver medal in the Far Eastern Games, in addition to his volleyball medals won in the same Games. 1934 – The Philippines won its ninth and final Far Eastern Games basketball championship title at Manila, Philippines. It was the final edition of the championship, as Japan eventually invaded China in the late 1930s, which led to the Pacific version of World War II. - Mariano Filomeno, one of the most popular Filipino players, won his fifth consecutive Far Eastern Games basketball gold medal and ends his career with 25-30 points per game. The Basketball Association of the Philippines (BAP) joined the international basketball governing body – Fédération Internationale de Basketball Amateur FIBA. The United States Commonwealth of the Philippines issued the world’s first basketball stamp. The Philippines participated in the first official Olympic Games basketball tournament held at Berlin, Germany. The national team finished fifth with a 4-1 win-loss record and is the best finish by an Asian country in the Olympic men’s basketball history. The team, led by Ambrosio Padilla, beat Mexico (32-30), Estonia (39-22), Italy (32-14) and Uruguay (33-23), and losing only to eventual champion Team USA (23-56). Two-time Philippine Olympic basketball team coach Dionisio “Chito” Calvo organized the Manila Industrial and Commercial Athletic Association (MICAA). It was the country’s top commercial league for 41 years with H.E. Hecock, Inc. as its first champion. Far Eastern University won the first ever University Athletic Association of the Philippines (UAAP) Basketball championship. 1941 – The Philippines, led by Charlie Borck, and the Fajardo brothers, participated in the Japan-sponsored Greater Asian Co-Prosperity Sphere Games. The Philippines, finished 12th with a 4-4 win-loss record in the Olympic Games basketball tournament held at London, England, United Kingdom. The Philippines became the first country to score at least 100 points in a single game in the Olympic men’s basketball history. The Philippines beat Iraq 102-30 in the opening game of Group A. 1950 * The first FIBA World Basketball Championship was held at Buenos Aires, Argentina but Asian countries like the Philippines, Japan and China did not send their national basketball teams. 1951 * The Philippines won the first ever Asian Games basketball gold medal with a 4-0 record. The first Asian Games was held at New Delhi, India. 1952 * The Philippines finished 9th with a 3-2 record in the Olympic Games basketball tournament held at Helsinki, Sweden. The Philippines retained the basketball gold medal (6-0) of the Asian Games held at Manila, Philippines. Lauro Mumar won his second consecutive Asian Games gold medal and was named with Carlos Loyzaga as co-captains for the Philippine national team bound for the world championships. Mumar later coached the India national basketball team, and the Philippine national team. The Philippines finished third and captured the bronze medal in the second FIBA World Championship held at Rio de Janeiro, Brazil. The Philippines finished with a 6-3 win-loss record, and was the best finished by an Asian country in the world championships. Carlos Loyzaga, the Philippines most popular basketball player. Carlos “Caloy” Loyzaga regarded by many as the greatest Filipino basketball player of all time, finished as the third leading scorer of the tournament (148 points and 16.4 points per game), and was named in the FIBA World Championship all-tournament mythical five selections. 1956 * The Philippines finished 7th with a 4-4 record in the Olympic Games basketball tournament held at Melbourne, Australia. The Philippines won the Asian Games basketball gold medal with a 6-1 record held at Tokyo, Japan. Chinese Taipei ended the Philippines unbeaten run in Asian basketball. The last time the Philippines lost a game against Asian rivals was 37 years ago when China beat the Philippines in finals of 1921 Far Eastern Games held at Shanghai, China. Mariano Tolentino won his third consecutive Asian Games gold medal. Tolentino was one of the very few players to play several times for the national team. The Philippines finished 8th with a 4-2 record in the FIBA World Championship held at Santiago, Chile. The Araneta Coliseum was completed in Quezon City and was during that time the largest covered-entertainment center in the world, and one of the biggest basketball coliseums in the world. The FIBA Asia was formed at Manila, Philippines with Filipino basketball legends Ambrosio Padilla, and Dionisio Calvo elected as the first President and the first Secretary-General of the newly formed Asian basketball federation. The Philippines won the first ever Asian Basketball Confederation (now FIBA Asia Championship) gold medal with a 9-0 record held at Manila, Philippines. Carlos Badion was named the first ever FIBA Asia Most Valuable Player of the tournament and was named in the Mythical five selection. The Philippines finished 11th with a 4-4 record in the Olympic Games basketball tournament held at Rome, Italy. The Philippines won its fourth consecutive Asian Games basketball gold medal with a 7-0 record held at Jakarta, Indonesia. Carlos Loyzaga won his fourth consecutive Asian Games basketball gold medal and sets the Filipino all-time record for the most appearances by a Filipino in the Asian Games basketball tournament. The Philippines was suspended by the basketball governing body, FIBA, after then President Diosdado Macapagal refused to issue visas to players from communist countries (Yugoslavia). In addition, the Philippines lost the right to host the third FIBA World Championship. The Philippines won its second consecutive FIBA Asia Championship title with a 9-2 record held at Taipei, Taiwan. Carlos Loyzaga ended his career for the Philippine national team ,and ends his career as the most successful Filipino player ever to play for the Philippine national team. He later coached the national team to the Asian Championship, and the Olympic Games. 1964 * The Philippines finished 6th with a 3-6 record in a 10-nation pre-Olympic qualifying tournament held at Yokohama, Japan. The Philippines, despite being the Asian champion, has to play a qualifying tournament due to its early suspension in 1962. 1965 * The Philippines finished 2nd with a 4-1 record, and captured the silver medal in the FIBA Asia Championship held at Kuala Lumpur, Malaya (now Malaysia). 1966 * The Philippines finished 6th with a 4-3 record in the Asian Games basketball tournament held at Bangkok, Thailand. The Philippines won its third FIBA Asia Championships with a 9-0 record held at Seoul, South Korea. The Philippines finished fifth in the World University Games held at Tokyo, Japan. The Philippines finished 3rd and captured the bronze medal in the first ever Intercontinental Basketball Tournament for players under 5-11 held at Barcelona, Spain. The Philippines finished behind the United States, and host Spain but beat South American giant, Brazil, and European representative, France. 1968 * The Philippines finished 13th with a 3-6 record in the Olympic Games basketball tournament held at Mexico City, Mexico. 1969 * The Philippines finished 3rd with a 7-2 record and captured the bronze medal in the FIBA Asia Championship held at Bangkok, Thailand. 1970 – The Philippines finished 5th with a 4-4 record in the Asian Games basketball tournament held at Bangkok, Thailand. 1971 – The Philippines finished 2nd with a 7-1 record and captured the silver medal in the FIBA Asia Championship held at Tokyo, Japan. 1972 – The Philippines finished 13th with a 3-6 record in the Olympic Games basketball tournament held at Munich, West Germany (now Germany). 1973 – The Philippines won its fourth FIBA Asia Championship title with a 9-0 record held at Manila, Philippines. 1974 – The Philippines finished 4th with a 2-4 record in the Asian Games basketball tournament held at Tehran, Iran. - The Philippines finished 13th with a 2-5 record in the FIBA World Championship held at San Juan, Puerto Rico. The official logo of the Philippine Basketball Association. 1975 – In April, ten MICAA commercial ball clubs broke up with the Basketball Association of the Philippines (BAP) and formed Asia’s first professional basketball league, the Philippine Basketball Association (PBA). The league’s first champion was the Toyota Comets. 1976 – The Crispa Redmanizers, coached by Baby Dalupan, won the PBA first ever Grand Slam title after winning three consecutive PBA conferences in one season. 1976 - Gonzalo G. Puyat II was elected President of the international basketball governing body, FIBA. Puyat was later reelected, and finished his term in 1984, and became FIBA's honorary president. 1977 – The Philippines won the first ever Southeast Asian Games basketball gold medal. 1978 – The Philippines for the second time won the right to host the FIBA World Championship. Raymond Anthony Townsend, a A 6′3″, 175-lb point guard was drafted in the 1978 NBA draft by the Golden State Warriors. This marks the first time any Filipino American has become a member of the NBA. - The Philippines finished 8th with a 0-7 record in the FIBA World Championship held at home in Manila, Philippines. 1979 – The Philippines won its second Southeast Asian Games basketball gold medal. - Future PBA superstar Ricardo Brown was drafted by the Houston Rockets for the National Basketball Association (NBA). 1981 – The Philippines composed of Filipino and naturalized American players won the fourth R. William Jones Cup held at Taipei, Taiwan. The team was bannered by Dennis Still, Jeff Moore and Filipino-American NBA draftee Ricardo Brown. - The Philippines captured its third straight Southeast Asian Games basketball gold medal. 1983 – The Philippine Amateur Basketball League (PABL) was formed as an amateur basketball league for collegiate players and was sponsored by large companies in the Philippines. The PABL would later be renamed into the Philippine Basketball League (PBL) as it grew into a commercial, semi-professional league. - The Philippines retained its basketball gold medal in the Southeast Asian Games. - The Crispa Redmanizers, coached by Tommy Manotoc, won the its second PBA Grand Slam title after winning three consecutive PBA conferences in one season. 1984 – The Northern Consolidated Cement team won the ABC Club Championship and earned the right to play in the World Cup for Champion Clubs held at Girona, Spain. The team was bannered by American shooting maestro Arthur Engelland, Hector Calma, Samboy Lim and Filipino hotshot Allan Caidic. 1985 – Northern Consolidated Cement finished 4th place in Group B with a 1-3 win/loss record in the 1985 World Cup for Champion Clubs held at Girona, and Barcelona, Spain. (1) They finished 7th overall but crowd like them as small but terrible cagers. - The Philippines captured the 9th William Jones Cup championship after beating the United States in overtime 108-100 in the finals. - The Philippines won its fifth consecutive Southeast Asian Games basketball gold medal. 1985-1986 – The Philippines won its fifth Asian Basketball Confederation title held at Kuala Lumpur, Malaysia. The team beat China in the final game, 82-72, behind Filipino triggerman Allan Caidic’s 22 points. The championship earned the Philippines the right to play in the 1986 FIBA World Championship held at Madrid, Spain but due to political crisis in the country, the team failed to participate for the world championship finals. 1986 – The Philippines finished 3rd, and captured the bronze medal after a dramatic semi-final loss against South Korea in the Asian Games basketball tournament held at Seoul, South Korea. 1989 – The international basketball governing body, Fédération Internationale de Basketball FIBA, has now agreed to let professional players to play in any international basketball tournaments including the FIBA World Championships, and the Olympic Games. - The San Miguel Beermen, coached by Norman Black, won the third PBA Grand Slam title after winning three consecutive PBA conferences in one season. The Philippines finished 2nd and captured the silver medal after losing to China in the finals of the Asian Games basketball tournament held at Beijing, China. The team was the first ever all-professional national team sent by the Philippines, and fittingly deserved to be called the “Philippines Dream Team”. The team, coached by Robert Jaworski, was bannered by PBA superstars Ramon Fernandez, Alvin Patrimonio, Hector Calma, Benjie Paras, Avelino “Samboy” Lim, and 1990 PBA Most Valuable Player Allan Caidic. Allan Caidic and Samboy Lim were named in the Asian Games basketball tournament All-Star Mythical Five Selection, the top 5 best players of the tournament. 1991 * On November 21, Filipino Allan "Triggerman" Caidic scored 79 points, and lead the Presto Tivoli beat Ginebra San Miguel. Caidic’s 79 points was the most points scored by a Filipino in a single PBA game and sank 17 three-point field goals, the most three-point shots made in a single game. Other PBA records he sets in the game are the most points scored in a single half (53 points), in a single quarter (37), and the most consecutive triples, and most triples in a single quarter (8 triples). 1992 * Former NBA player and PBA import Tony Harris of the Swift Mighty Meaties scored 105 points against Ginebra San Miguel in a 151-147 victory on October 10. The 105 points was the most points scored by a player, both locals, and imports, in a single PBA game. The San Miguel Beermen earned the right to represent the Philippines in the upcoming Asian Games after winning the PBA All-Filipino Cup Conference championship. Later, the national team, not only includes San Miguel players, but also includes loan players from the other PBA franchises (notably Alvin Patrimonio and Johnny Abarrientos) and from the collegiate teams. The Philippines finished 4th after losing to China, and Japan in the play-offs of the Asian Games basketball tournament held at Hiroshima, Japan. Allan Caidic finished the Asian Games as the tournament’s leading scorer and was named in the Asian Games basketball tournament All-Star Mythical Five Selection, the top 5 best players of the tournament. (July) former FIBA President Gonzalo Puyat II along with FIBA's founding father Renato William Jones and 14 others were awarded with the FIBA Order of Merit. 1996 * The Alaska Milkmen, coached by Tim Cone, won the fourth PBA Grand Slam title after winning three consecutive PBA conferences in one season. The Philippines celebrate its centennial 100th year of national independence from Spain; to commemorate the anniversary, the Philippine Basketball Association (PBA) formed the Philippine Centennial Team. The PBA Centennial Team was the national team for the year 1998, task to represent the country in international basketball tournaments. The Philippine Centennial Team captured the 21st William Jones Cup tournament after beating Chinese Taipei, 82-72, in the finals. The Philippine Centennial Team finished 3rd and captured the bronze medal in the Asian Games basketball tournament held at Bangkok, Thailand. Filipino international veterans Alvin Patrimonio and Allan Caidic played in their fourth consecutive Asian Games tournaments and won their third Asian Games medals. Both players became the most capped Filipino players (23 games) in the Asian Games after the legendary Caloy Loyzaga (24 games), for the most appearances by a Filipino player in the Asian Games basketball tournament, and share the distinction of being the only PBA players to represent the country in four Asian Games. In addition, Allan Caidic won his second William Jones Cup title, and became the only Filipino player in the 20th Century to win the William Jones Cup twice in history. Once as an amateur with San Miguel-Philippines in 1985, and once as a professional with the Philippine Centennial Team in 1998. The Metropolitan Basketball Association (MBA), Philippines’ second professional basketball league, was formed and effectively regionalized the basketball professionalism throughout the country. The league’s first championship was won by the Pampanga Dragons. The PBA named the Philippine Basketball All-Time Mythical Five: Carlos Loyzaga (1950s), Narciso Bernardo (1960s), Robert Jaworski (1970s), Hector Calma (1980s), and Alvin Patrimonio (1990s). 1998-1999 * Philippine basketball legend Robert Jaworski ended his PBA career that spanned since 1975. Jaworski was elected to the Philippine Senate in 1998 and retired from playing pro-basketball. At 52, he was the world’s oldest professional basketball player in history. The Manila Metrostars set the MBA league record by winning 23 consecutive games during the elimination round, en route to a 26-4 record and the MBA National Championship. The record was also seen by many as the most in Philippine professional basketball history, breaking the PBA's Crispa Redmanizers' record of 19 consecutive victories in 1980. The first batch inducteed to the Philippine National Basketball Hall of Fame was named. They were Filipino legends that brought gold and glory to Philippine basketball: Carlos Loyzaga, Fely Fajardo, Gabby Fajardo, Ambrosio Padilla, Charlie Borck, Tony Genato, Jacinto Ciria-Cruz, Primitivo Martinez, Ramoncito Campos, Ed Ocampo, and Narciso Bernardo. (May) Mauricio Martelino, former secretary-general of the Asian Basketball Confederation (ABC) from 1991–1998 and member of the powerful FIBA (International Basketball Federation) Central Board, became the second Filipino ever to be awarded with the FIBA Order of Merit after Gonzalo Puyat. The Philippine Basketball Association (PBA) celebrates its 25th Anniversary and named the “PBA's 25th Anniversary All-Time Team.” The 25 players include PBA Most Valuable Player award, national team players, and the all-time statistic leaders. The PBA All-Star Selection won the exhibition game against the FIBA Asian All-Star Selection led by MBA superstar Rommel Adducul. Johnny Abarrientos was named the game’s Most Valuable Player with Eric Menk, and Lebanon’s Elie Mchantaf receiving the Sportsmanship Award. The Philippine Basketball League (PBL) named the PBL All-time Legacy Team – 12 best players of all time. The team includes Alvin Patrimonio, Benjie Paras, Allan Caidic, Vergel Meneses, Johnny Abarrientos, Danny Ildefonso, Jerry Codiñera, Jun Limpot, Jojo Lastimosa, Marlou Aquino, Eric Menk, and Sonny Cabatu. The Philippine Youth Men’s national team defeated Brunei Darussalam, 160-19, at the Ninoy Aquino Stadium on July 2, 2000. Philippines won the Southeast Asia Basketball Association (SEABA) Youth Men's Tournament against Malaysia. The Philippines finished 4th in the Asian Games basketball tournament after losing to China, South Korea and Kazakhstan in the play-offs. The team was bannered by Filipino-Americans Asi Taulava, Eric Menk, Rudy Hatfield, and PBA veteran Kenneth Duremdes. The Philippine Basketball League (PBL) celebrated its 20th year, and named the “Top 20 Greatest Players Ever of All Time.” The 20 players were: Alvin Patrimonio, Benjie Paras, Allan Caidic, Vergel Meneses, Johnny Abarrientos, Danny Ildefonso, Jerry Codiñera, Jun Limpot, Jojo Lastimosa, Marlou Aquino, Eric Menk, Sonny Cabatu, Kenneth Duremdes, Ato Agustin, Roger Yap, Yancy de Ocampo, Ren-Ren Ritualo, Rommel Adducul, and Leo Austria. The PBA Classic All-Star Game between Crispa, and Toyota, the league’s greatest rival teams. Toyota won the game, 65-61. Coca Cola Tigers' head coach Vincent "Chot" Reyes was named the new head coach for the Philippine national basketball team to compete in international competitions. He also became the de facto coach of San Miguel-Philippines as the national team were about to compete as a club in the FIBA Asia Club Championship (also known as the FIBA Asia Champions Cup). The Philippine Basketball Association (PBA) celebrated its 30th Anniversary. The PBA Classic All-Star Greatest Game between Baby Dalupan’s Legends versus Robert Jaworski’s Greats, both teams composed of the PBA’s 25 greatest players named in 2000. The Legends beat the Greats 96-92, behind the game’s Most Valuable Player, Allan Caidic’s 30 points. San Miguel Philippines finished fifth in the FIBA Asia Club Championship held at Manila, Philippines. Rommel Adducul was named in the mythical five selection. The Philippines for the third time is suspended by the international governing body - FIBA, after the Philippine Olympic Committee suspended the FIBA-recognized Basketball Association of the Philippines (BAP) due to the BAP's political agenda and its failure to develop the national team into a powerhouse in Asia (or send a competent team for that matter). As a result, the national team was suspended to play in any FIBA-sanctioned tournaments like the FIBA World Championship, FIBA Asia Championship, the Olympic Games, and the Asian Games. San Miguel-Philippines took part in the Las Vegas Global Hoop Summit in the United States, and was named the most exciting team of the tournament. The Philippines, despite being suspended by the international governing body - FIBA, finished third, and captured the bronze medal with a 6-3 record in the 27th William Jones Cup tournament. San Miguel-Philippines captured its first ever Shell Rimula-Brunei Cup title after defeating the Alaska Aces in the All-Philippine finals in Brunei. Jayjay Helterbrand was named the tournament's Most Valuable Player. The PBA Legends Tour of Australia, the touring team were bannered by Alvin Patrimonio, Allan Caidic, Samboy Lim, Jerry Codinera, the Loyzaga brothers, and Bong Álvarez. Basketball was not included in the 2005 Southeast Asian Games held in the Philippines due to the Philippines' suspension. San Miguel-Philippines captured its back-to-back Shell Rimula-Brunei Cup championships after beating the Darwin All-Stars in the finals. Danny Seigle was named the tournament's Most Valuable Player. The Philippine national team played, and won 2 games against the FIBA World Championship-bound Lebanon national team, and an American All-Star team led by former National Basketball Association player Dennis Rodman. In February, the FIBA suspension from 2005 is lifted and a new group, the Samahang Basketbol ng Pilipinas (SBP), becomes the country's basketball governing body. In March, the late Dionisio Calvo, former national team coach for basketball and soccer, the founding father of the Manila Industrial and Commercial Athletic Association (MICAA) and the Asian Basketball Confederation, former Secretary-General of the Asian Basketball Confederation, became the first Filipino inducted to the FIBA Hall of Fame. He was named alongside James Naismith (the inventor, and father of basketball) and William Jones (one of the founding fathers of FIBA). In May, San Miguel-Philippines finished fourth in the 18th FIBA Asia Champions Cup (formally known as the FIBA Asia Club Championship), held at Tehran, Iran. Danny Seigle was in the tournament's first mythical team selection while Mark Caguioa was named in the second mythical team selection. Philippines settled for 4th place. In May, the Philippine national basketball team won the SEABA Championship 2007 in Ratchaburi, Thailand, earning the right to play at the 2007 FIBA Asia Championship in Tokushima, Japan. In July, The Philippine national basketball team finished third with a 5-4 record and captured the bronze medal in the 29th William Jones Cup International Basketball Tournament held at Taipei, Taiwan. A week after the Jones Cup, the Philippines won the 4-Nations Manila Invitational Basketball Cup at home in Quezon City and San Juan City, Philippines. The tournament was participated by the national basketball teams of China, Syria, Lebanon and the Philippines in preparation for the upcoming FIBA Asia Championship. Jimmy Alapag was named the tournament’s Most Valuable Player, and was named in the mythical five selection along with teammate Kelly Williams, Michael Madanly of Syria, Lebanon’s Joseph Vogel, and superstar Fadi El Khatib. In August, the national team finished ninth - their best finish in 12 years - in the FIBA Asia Championship 2007 at Tokushima, Japan. Grouped in the "group of death," the national team beat the Chinese for the first time in 22 years. 5-2 win-loss record loss only to virtual Champion Iran and to Jordan. They beat China twice, Syria, India and Kuwait. The Samahang Basketbol ng Pilipinas announced the formation of three new basketball leagues: the Filipina Basketball League for women, the Philippine Collegiate Championship, and the community-based, LGU-supported, commercially sponsored Liga Pilipinas, which was formed through the merger of the National Basketball Conference, the Mindanao Visayas Basketball Association, and Third Force, Inc.
On September 5, 2008, 6'1" and 18 year old high school basketball player Keith Agovida of the JRU Light Bombers etched his name in Philippine basketball history when he unleashed a record-setting shooting binge, scoring 82 points in 37 minutes in a 127-49 rout of the Malayan Red Robins in the juniors division second round of the Philippines' National Collegiate Athletic Association. Agovida's previous high was a 57-point performance against the same squad in the first round. His feat (23, 13, 20, and 26 points in each quarter, respectively) at the Cuneta Astrodome, surpassed the old mark of 71 points set by Letran Squire Erwin Bola-Bola in the 1970s. The Philippine Basketball League, and the Samahang Basketbol ng Pilipinas announced the revival of the Women's Philippine Basketball League, which first held its tournaments from 1998 to 1999. Red Bull Barako coach Yeng Guiao replaced Chot Reyes as the head coach of the PBA-backed Philippine national team. Philippine Team captured SEABA Championship 2009. 3 - 0 win - loss record in Angkasapura Lanud Hall, Medan, Malaysia. Philippine Powerade Team, 8th place finished in FIBA Asia Championship 2009 in Tianjin Arena, Tianjin, China. Smart Gilas Philippine Team beat Powerade Philippines team 98 - 69 charity showdown for the Typhoon Ondoy victims. Stunning the World Championship-bound Jordan national basketball team, the Smart Gilas team emerged the inaugural champions in the 2010 Smart Philippine Invitational Challenge, also known as MVP Cup. At the Ninoy Aquino Stadium from June 24–27, 2010. Philippines Basketball Women's Team aka Perlas Pilipinas captured their first-ever crown in SEABA Women's Championship at the Ninoy Aquino Stadium 5 - 0 win - loss unblemished record. Ateneo de Manila Blue Eagles ace player Nonoy Baclao has been drafted by Air21 Express in the 2010 PBA Draft as 1st pick overall for the Philippine Basketball Association after a controversy draft position of him and his Ateneo teammate Rabeh Al-Hussaini. Talk 'N Text Tropang Texters demolished San Miguel Beermen for the 2010-11 PBA Philippine Cup in the finals 4-2. Smart Gilas Pilipinas joined the PBA for the replacement of the absent of Barako Bull Energy Boosters together with Marcus Douthit. Talk 'N Text Tropang Texters wins a back-to-back championship in the 2010-11 PBA season after beating Barangay Ginebra Kings 4-2 for the 2011 PBA Commissioner's Cup. ↑ Bartholomew, Rafe. "Pacific Rims". New American Library, 2010, p. 13. ↑ Bartholomew 2010, p. 13. Huling pagbabago: 15:39, 9 Marso 2019.